WELCOME to the New York City Department of Environmental Protection’s 33rd annual Water Resources Art & Poetry Contest. Second through twelfth grade students attending public, independent, charter or parochial schools (or homeschooled) in New York City and East and West of Hudson Watersheds are invited to create original art and compose poetry that reflects an appreciation for our shared water resources. DEP’s Water Resources Art & Poetry Contest complements STEM and the humanities, as it relates to various aspects of water and the environment. To view student entries from our previous art and poetry contests, go here. 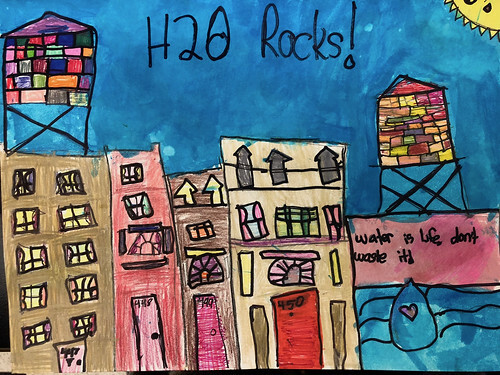 For more information about the 33rd annual Water Resources Art & Poetry Contest, please contact DEP’s Education Office at educationoffice@dep.nyc.gov or 718-595-3506.